2007 was the Chinese year of the pig. 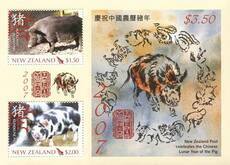 The kunekune, Auckland Island and Arapawa pigs were depicted on this commemorative stamp issue. Includes information and teaching ideas related to Chinese New Year. A collection of images and audio related to Chinese New Year. 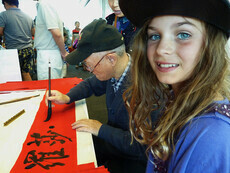 Schools are taking part in workshops in Chinese Folk Dance to celebrate Chinese New Year. Jason Wu performing a traditional dance 'Face changing', at the 2016 Chinese New Year Festival and Market Day. Article providing information about Chinese New Year. Chinese lanterns at the Auckland Lantern Festival. All over the world, people have been celebrating the first day of the Chinese New Year, This year is not just the year of the dragon but the year of the water dragon. Chinese New Year display at Linwood Library. Comedian Oscar Kightley fronts this 2013 beginner’s guide to the Chinese zodiac. View of the Lion dance performance by members of Onehunga Chinese Association at the Spring festival outside the Onehunga Library, Auckland. Performance at the 2016 Chinese New Year Festival. Newspaper article about Chinese New Year from 1895. Market stall at the Chinese New Year Festival. Asia Down under – Chinese New Year, Year of the Tiger. A collection of images, articles and videos related to Chinese New Year. A traditional dish that is eaten on Chinese New Year’s Eve. Newspaper article about Chinese New Year celebrations in Wellington, 1920 . The Dragon Dance is a traditional Chinese dance performed by ten or more dancers. As the photograph shows, the dancers hold the dragon up on poles, which they raise and lower to make the dragon dance. Article about the most important holiday in China. Video about the Auckland Chinese Lantern festival. Learn about the traditions and legends celebrated during the Chinese New Year. During the Lunar New Year period, Chinese people greet one another with unique sayings. Article about Chinese New Year. A Chinese New Year song. Article about the types of food eaten during Chinese New Year. Instructions on how to make paper lanterns. A gallery of images related to the Chinese Lantern Festival. 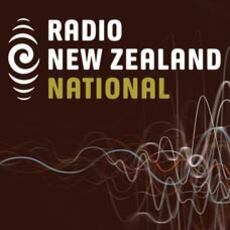 Article about how Chinese New Year has boosted tourism in New Zealand. 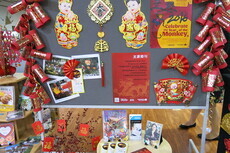 Activities and resources related to Chinese New Year. Chinese music about the celebration of the Chinese New Year. Facts about Chinese New Year. Article about how other Asian countries celebrate the Lunar New Year. The full history of Chinese New Year. The legend of the Nian monster and the Chinese New Year. The most popular and beloved traditions of the Lunar New Year. Article containing information about the Chinese zodiac. Video explaining what the Chinese lion dance is, and where it came from. 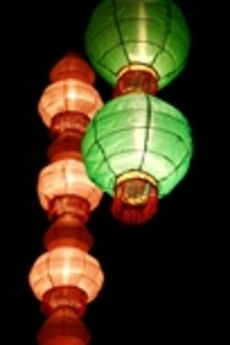 Information about lantern festivals held in Auckland and Christchurch. Chinese New Year celebrations around the world. A gallery of images related to Chinese New Year. Chinese New Year, also known as the Lunar New Year or the Spring Festival, is now one of the world's most celebrated festivals. More than 100,000 ethnic Chinese who call New Zealand home celebrated the Chinese New Year on 10 February this year. In China tens of millions of people have been returning home to celebrate the New Year.